This Marid Queen is dedicated to increase the Power of Imagination in her master, she will increase the Pleasure of senses, the 5 physical and those that are subtle. 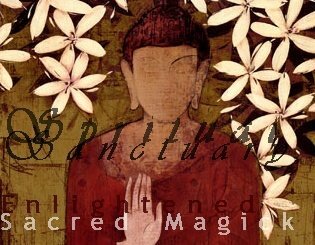 Her master will be inspired to reach higher levels of subtle communication with the spirit world and incorporate her own creative imagination to build a higher path to their destiny, and purpose. This may sound complex but on many levels it is simple, the more one is able to use their imagination, the more possibilities open up in the infinite Universe that will gravite toward the creator of these thoughts. The power of thought can change the reality in which we exist, This djinniyah will encourage and show you new ways of thinking and using this power of thought to improve their life! 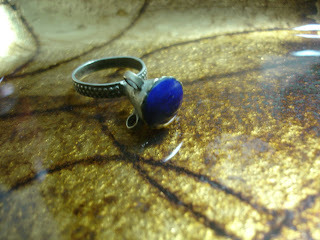 This ring is made of pure silver and has a gorgeos Lapis Lazuli from Afghanistan where it was found among buried treasures (about 130 yrs buried), it is around 300 years old and the conjuring took place around the same time. The djinniyah is 2000years old and is very wise and knowledgeable, has alot of experience in changing the reality of her previous masters.